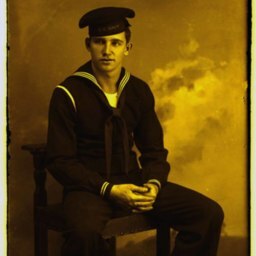 Photograph taken by Hugh Morrison showing Carrol Burner, a Shenandoah County native who served in the US Navy as a Aviation Machinist Mate during World War Two. 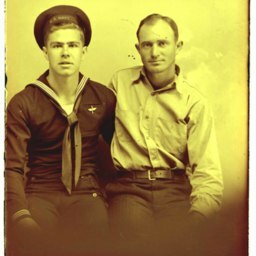 Hugh Morrison photograph showing Carrol Burner and an unknown man. 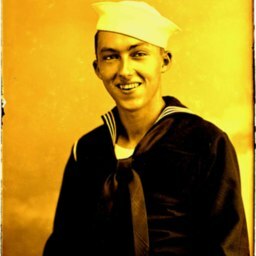 Burner was a Shenandoah County native who served in the US Navy during World War Two. 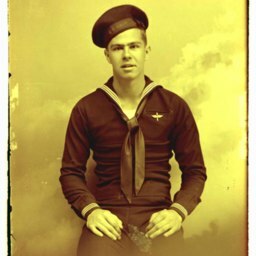 When this photograph was taken he was serving as an aviation machinist. 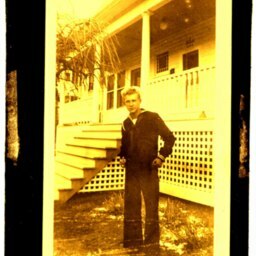 Hugh Morrison Photograph showing Harry Taylor a World War Two Veteran and member of the US Nacy. 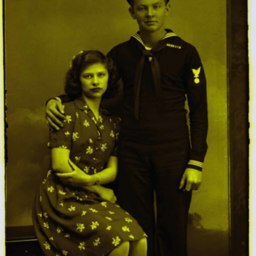 Photograph taken by Hugh Morrison of Thelma Huffman and William Barb, US Navy World War Two Veteran. The relationship between the two is unknown.